Choosing and implementing a language strategy with your first child is often more straightforward than when the next child comes along. We generally speak more to our first-borns, we spend more time engaging just them, and we can control many more aspects of their linguistic environment. Then, our second child is born and we watch them skip over developmental milestones, they learn language from their sibling instead of from just us and then it dawns upon us that they will rarely ever get as much uninterrupted time with their parents as number one. It’s just the natural way things go. One day, I was teaching my kids the word for ‘tiger’ in Mandarin, l?o h?. We were having fun calling it out, rhyming l?o h? with “you-hoo” to get the tones right, when I realized my daughter was never even taught the word for “tiger” in French or English, our main OPOL languages. My heart sank at how disjointed her language learning is in contrast to her older brother’s systematic, highly intentional linguistic plan. This got me thinking: How does birth order and personality affect the way we learn languages? How can I make time to focus on my younger daughter’s linguistic input? How can I give her the same language opportunities despite her birth order? 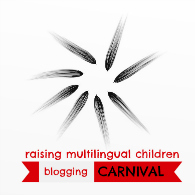 It is an honor to host this month’s Multilingual Blogging Carnival on the very topic I have been wrestling with, namely ‘Sibling dynamics in multilingualism’. It’s a never ending topic and yet there doesn’t really seem to be a wealth of information out there. 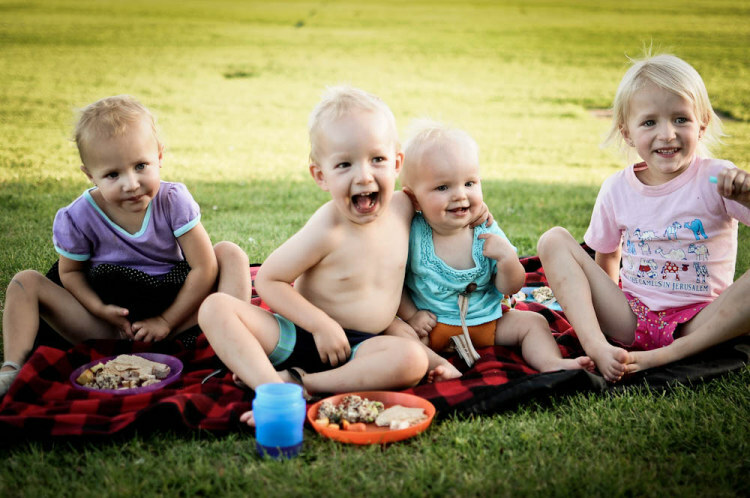 This is why I am all the more thankful for these parents and caregivers who have gone before us and offer the following 10 tips on the multilingual sibling journey. I invite you to click right through to their articles to read more in depth and join in the fascinating conversations at the end of their posts. 1. New baby changes a family’s language balance. Galina blogging at TrilingualChildren.com believes that dealing with two kids is much more complex than the simple equation of 1 + 1. Having more than one child keeps you on your toes. Just when you think your multilingual family has figured out a perfect balance, the older sibling might be speaking the majority language to the younger one! Galina explains that, in many ways, it is the older child who determines the language spoken between siblings. Based on her own observations, she lists 7 facts that can determine the language spoken between multilingual siblings. This is a must-read article for families wondering what might be causing siblings to be speaking the majority language among themselves. I had never thought about actively taking part in my children’s interaction in order to promote minority language interaction (Fact #7). 2. Be proactive about possible changes and plan ahead. In another blog post entitled Trilingual Siblings Minority Language Progress Update. The Younger Sibling Is About to Enter Preschool, Galina writes that there are many things you cannot predict as your family expands. Galina states that constant plan adjustments are necessary throughout the multilingual family’s journey. 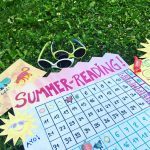 “In my case, I found it extremely hard to stick to my plan after the birth of our second child“ she writes. Planning ahead and not missing out on any linguistic opportunities are crucial in her mind. Galina recommends thinking of your child’s most likely linguistic environment for the next five years in order to focus on the right language at the right time. 3. Subsequent children will naturally have more exposure to majority language. Rita Rosenback of MultilingualParenting.com agrees that the arrival of the next baby changes many aspects of family life, including language balance. In Bilingual Siblings, Rita writes that as soon as the older child goes to school, they might be speaking the majority language with more people and bringing it back into the home, causing younger children to be exposed to the majority language much earlier. “Similarly, any further children will have even more exposure to the majority language in their early years” she writes. 4. Be clear and consistent with your language choices. Rita recommends parents be prepared for a shift in linguistic balance along with the arrival of the next baby. She is a strong advocate for a clear and consistent positioning of the minority language(s) within the home. Practically speaking, Rita suggests creating routines or family traditions that are only connected with the minority language. If this is a possible scenario, the whole family could cook together using the minority language for example. 5. Tailor each child’s language learning to what makes them unique. Another practical idea comes from Eolia of LaCitéDesVents.blogspot.fr. In Et si j’élevais des trilingues? / And if I raised trilinguals? she writes how she decided to write up memo cards featuring each language to consolidate language learning in all three of their working languages. I couldn’t agree more with Eolia when writes how much unity within your couple affects language learning and educational decisions. Like other multilingual families, who refuse to be put into a box, Eolia isn’t a big fan of arbitrary educational norms that turn a blind eye to the uniqueness of each child. Each child is truly different and their language learning should be tailored to the way they learn. 6. Do expect the unexpected! 7. Determine what is good for your family and don’t take outside advice too seriously. 8. Personality, not just birth order, has a great influence on language learning. In her post with the title Bilingual siblings and their language preferences, Ute points to Suzanne Barron-Hauwaert’s book Bilingual Siblings: Language Use in Families. Ute agrees with the author that within the same family, some children might wholeheartedly embrace language learning, whereas others might be more reluctant. In Ute’s case, one of her twin daughters has a stronger propensity towards language learning than the other. What an important insight it is, that it is not just birth order, gender and age gap that has great influence on language learning but personality. While each of her children has their language preference, Ute has resisted the temptation to speak different languages to her children. 9. There is no one size fits all language learning model. 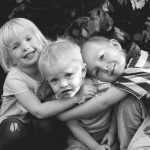 Maria of TrilingualMama.com writes in Finding balance between languages and trilingual siblings, that each of her children also has a language of choice. Her daughters prefer Spanish while her son prefers English. Maria does speak different languages to her children, but not at the same time. Maria has opted for a 2 week Spanish / 2 week English model (while her husband speaks French full-time). OPOL (One Person One Language) or MLH (Minority Language at Home) aren’t the only models for success, friends! Their own model allows them to do an activity and reinforce vocabulary in a different language each time. Each family must find their way of adapting their linguistic picture and language environment to the specifics of their family. 10. Try to spend a little time with each child and try to trust the process. Ariadne Brill is a parenting educator and mother of three children, two years apart each. She reminds us that there are perks and downfalls of being a first, second and third born. Ariadne advocates for alone time to engage each child, even if it is a mere 20 minutes and even if it means asking your other children to wait. “Most of all”, she writes, “just trust that each child will grow well and that they will more likely be very different from one another. It’s the unique things about each child that I love, it makes them who they are”. 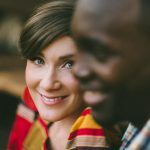 To find out more about her sound advice, check out her website, Positive Parenting Connection. How about you, are you raising bilingual or multilingual siblings? What has been your greatest challenge and opportunity? What practical advice might you give to families raising several multilingual children? If you have written anything relevant on the subject, feel free to link your article in the comments! I was lucky to discover your blog a few days ago! I have only read a couple of posts so far and I’ve found them quite engaging and informative. I’m really interested i the topic of multilingualism and I’d like to contact you by e-mail to share an idea I have for a research project that involves blogs/bloggers. Could you please send me your e-mail address to write to you with more detail about the things I have in mind?